It’s always flattering to know that your work is appreciated. Years ago, I had the pleasure of photographing Cassidy when she was a bridesmaid at one of the very first weddings I ever shot. Over the years, as my skills and style developed and grew, Cassidy followed my progress on Facebook and always had something positive to say. Imagine, then, how great it felt when Cassidy reacted to the news that I’d be moving back to Atlanta by immediately requesting a quote for a portrait session with her husband! We wasted no time in getting her on the calendar for an anniversary session celebrating one year of marriage. 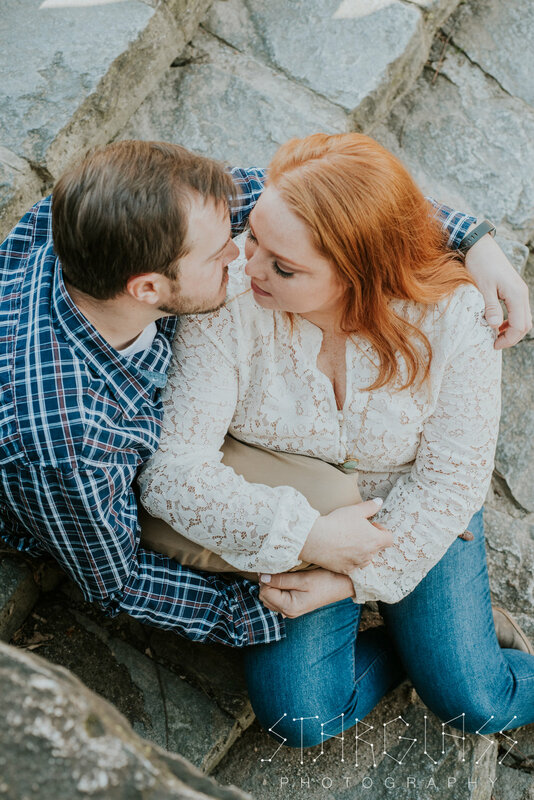 As Cassidy and Garrett’s Piedmont Park anniversary session photographer, I was thrilled to finally see the sunshine in Atlanta after so many consecutive days of cold and rain. 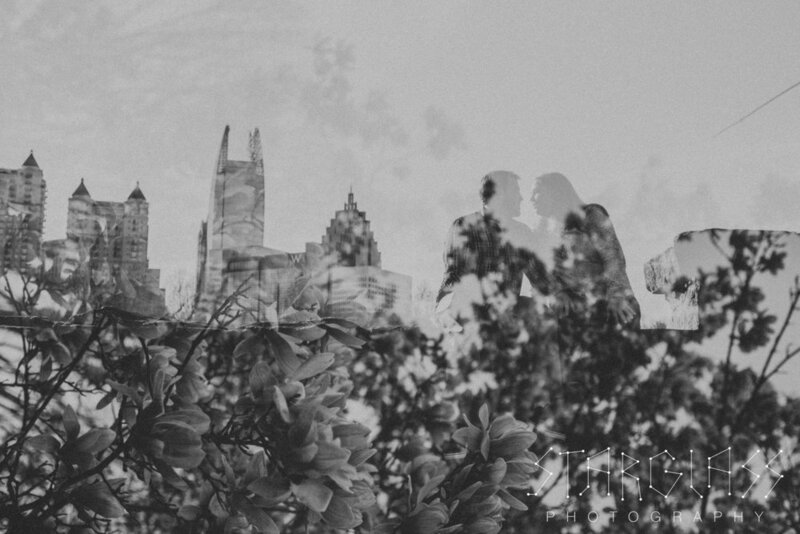 And what better place to commemorate an Atlanta love story than Piedmont Park, arguably THE quintessential Atlanta landmark with great views of the city skyline and proximity to the beautiful murals on the Beltline? If anyone wants to know the key to a successful marriage, I think that Cassidy and Garrett may have at least part of answer. Simply put, couples that have fun together, stay together. Throughout their anniversary session, these two joked and laughed, and their easy chemistry shines through in each photograph. 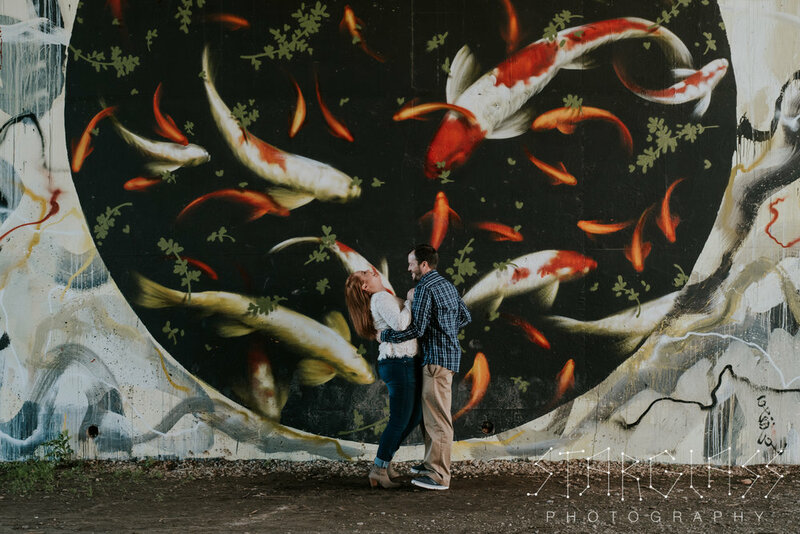 Their enthusiasm and total willingness to go with the flow made them a joy to photograph, and I hope they look back on these anniversary photos for years to come.